There's this article that was written circa 1995 in Newsweek by some guy who insisted that there were just certain things we would never, ever catch on. Included in this list was e-commerce, with the immortal line, "the network is missing a most essential ingredient of capitalism: salespeople." Needless to say, that guy was hilariously off base. Around 20 years later, you can now buy almost anything online. And that includes things that never seemed possible like glasses and shoes and hair color supplies. Until recently, it seemed necessary to get an expert opinion on these things, or at least try them on first. Madison Reed is a company that focuses on an e-commerce solution for the home hair care market, and perfected the approach to selling hair coloring products over the Internet. The company has launched with a $12 million Series B round of funding, the company announced Tuesday. The round was led by Norwest Venture Partners (NVP), with previous investors True Ventures and Maveron also participating. Previously known as Madison Color, the company raised $4 million in Series A funding from True Ventures, Maveron and angel investors in April of last year. It has now raised a total of $16 million in funding. Madison Reed's mission is to provide a wide range of hair care products, beyond only coloring supplies, to women all over the world. While color supplies are its only business currently, it also wants to supply shampoos and conditioners. That expanded vision is what necessitated the name change, Amy Errett, the CEO and co-founder of Madison Reed, told me in an interview. "Color was too limiting. 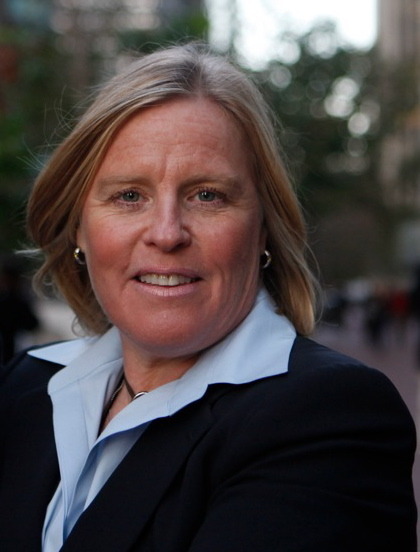 We felt as if we wanted the company to have focus that was more about the real person," she said. "While color is a core part of the business, but we also want to do shampoo and conditioner. We changed the name to closely align with that broader mission." There is a more personal touch to the name as well: Madison and Reed are the first and middle name of Errett's daughter. Madison Reed gives women a full end-to-end experience, helping them both pick out, and then apply, the color. 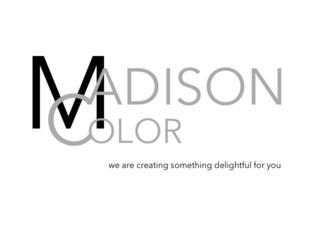 First, in order to find the right shade, customers can go onto the website or app and either use Madison Reed’s Color Translator or its Color Advisor tools. Customers can also get live feedback from a team of certified Color Crew colorists. Once they have found the right color, the customer pays $29.95 for the formula, which is shipped directly to their door. It arrives in a Madison Reed’s re-invented application kit, and customers can then watch videos on how to apply the color it to their hair correctly. Customers can also set a delivery schedule so that the product will automatically arrive at their door. Madison Reed is not a supplier of other company's products; it has develops its own products, which are manufactured in Italy. A big part of the company's mission is to appeal to people who care about their health by not including certain chemicals, such as ammonia and resorcinol. "People are asking more and more what is in these products, and to know the ingredients," Errett said. "It's becoming more important." She pointed to a recent article from the New York Times about how Johnson and Johnson had been putting formaldehyde in their No More Tears shampoo for babies as "an example of how consumer awareness is important." "Our big mission is to develop products that are consciously taking this stuff out," said Errett. "We didn't do this because it is popular, we did it because we care." The new money that the company has will be used for both hiring and expansion. Madison Reed will be adding more people centered on logistics and supply chains, including making sure that there is full time staff of trained colorists. The company will also be building out its mobile capabilities, including adding the ability to use pictures to analyze color and color match. "Our mission is not to replace people with technology, but to allow customer to use tech to get look great and get great results," Errett said. And, finally, the company will use the funding to invest in having physical presence. While there is no plan to have Madison Reed stores, the company is looking into setting up kiosks because "the physical presence is critical." The company also does not have any plans to have products sold through salons, though six of them are already using Madison Reed products on their customers and more are asking to buy them, something that Errett called "surprising." The hair care market is very large and offers "a huge prize" for the company that can corner it. A 2012 IBISWorld report shows that at $10 billion, hair color is the largest fast-growing major category of salon products. This holiday season alone, online shopping grew 9.3% to $95.7 billion, accounting for more than 15 percent of all sales. Currently, 90 million women in the U.S. color their hair, each spending $330 annually. This holiday season alone, online shopping grew 9.3 percent to $95.7 billion, accounting for more than 15 percent of all sales. Obviously, Errett's goal is to have Madison Reed be the preeminent home hair care company, and to have the brand become as synonymous with hair care products as Zappos is with shoes and Warby Parker is with glasses. "It wasn’t that long ago that one would ever have thought of ordering glasses or shoes online because you needed to try them on," she said. "It is the same with hair color. But the world is changing and we see ourselves as a facilitator."